We manufacture efficient and technically advanced Yarn Dyeing Machines using high quality raw materials. 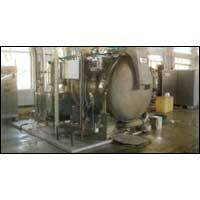 Our Yarn Dyeing Machines are widely demanded in national as well as international markets. We are also engaged in the export and supply of our Yarn Dyeing Machines, Sample Yarn Dyeing Machine, Horizontal Yarn Dyeing Machines, Horizontal Yarn Dyeing Machines. Our Yarn Dyeing Machines find application in textile mills for perfectly dyeing various textile materials. We ensure our Yarn Dyeing Machines for quality by testing it on various parameters before delivery in the market.